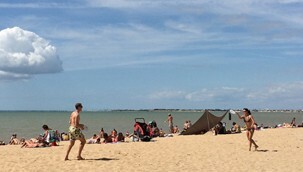 The best beach in the Charente Maritime and our nearest. Chateleillan Plage offers a very long sandy beach with safe swimming for children. There is easy parking and lots of amenities for lunches and snacks. Accessible by a toll bridge, Ile de Ré is best explored by bike which you can easily rent once on the island, or by foot. The East coast is dotted with quaint fishing villages (with lots of lovely lunch stops), the Centre with cycle ways through nature reserves and whitewashed villages, and the West coast with long sandy beaches offering good wind surfing opportunities. Approached via a free bridge from Marrans, Ile d'Oléron is our personal favourite as it has so much variety. So much so that a day is not enough. The South sees cockle pickers turning over worms (as bait) and seafood in the mud left by the tide, the Centre is full of oyster farms and salt farms, while the West has gorgeous beaches flanked by pine forests. Whatever you do, remember to take your binoculars as the wildlife is amazing. Accessed by a ferry from Fouras (itself also worth a visit). 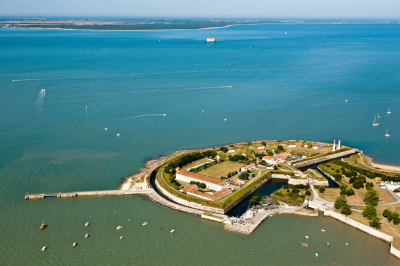 Ile d'Aix is car free and you can walk around this fascinating island in a day. Take a picnic and explore this island which has a very varied coastline. Sheltered beaches give way to rocky outcrops always with the remnants of extensive fortifications of Napoléon in the background. 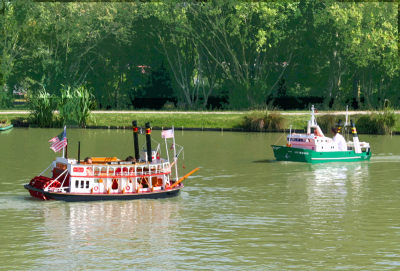 Yes it's technically not an island, but young children will love this boating lake with electric boats for hire that they can drive. A five star tripadvisor review site it also has a lovely town with the river Charent winding along it. Less than 30 minutes to the North is unmissable Marais Poitevin. A series of waterways criss-cross the countryside and you can hire a boat either with a guide or row yourself (they give youa map), or simply amble along the paths to the side. Coulon is the most well known, but Arçais is less busy and also good, and has the advantage of being near to a child friendly ornithological park at St. Hilaire La Palud.